The Metropolitan Naga Water District (MNWD) is once again all geared up for the 2018 Brigada Eskwela of the Department of Education (DepEd). The annual activity in public schools nationwide will start on May 28 to June 2 with a kick-off ceremony conducted on May 24, 2018 hosted by the Naga City Science High School (NCSHS) with their school principal Dr. Sonia D. Teran. School heads, teachers, parents, students, stakeholders, DepEd officials, and guests joined in the motorcade and attended the opening program thereafter. 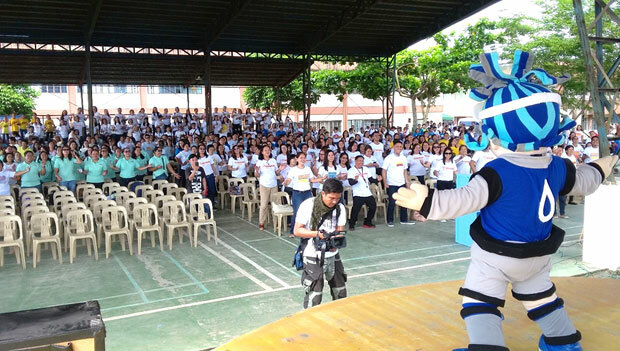 The MNWD together with its mascot “Isay” graced the kick-off event to the delight of the participants. A drinking station was also set-up for the whole duration of the opening ceremony. 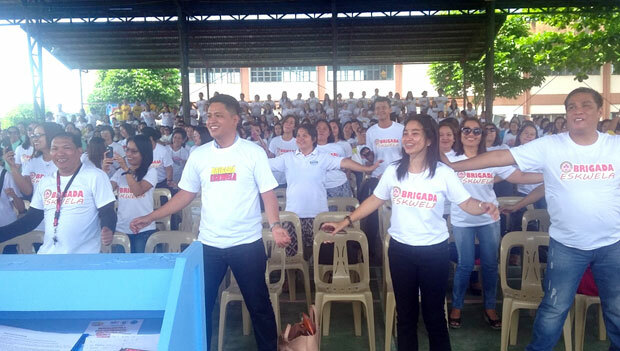 This year’s theme “Pagkakaisa Para sa Handa, Ligtas at Matatag na Paaralan Tungo sa Magandang KInabukasan,” resonates with the MNWD’s values thus, again it supports DepEd’s Brigada Eskwela to ensure that schools within the District’s service area are ready before the resumption of classes this June. The MNWD will assist in the repair of defective water service lines and provide two customized water dispensers to each beneficiary school within its service area such as Naga City and 4 municipalities in Camarines Sur namely Camaligan, Canaman, Magarao, and Gainza. The MNWD team inspected the school beneficiaries first week of this Month to identify and provide the list of materials needed for the repairs. MNWD INSPECTION BEFORE BRIGADA ESKWELA. 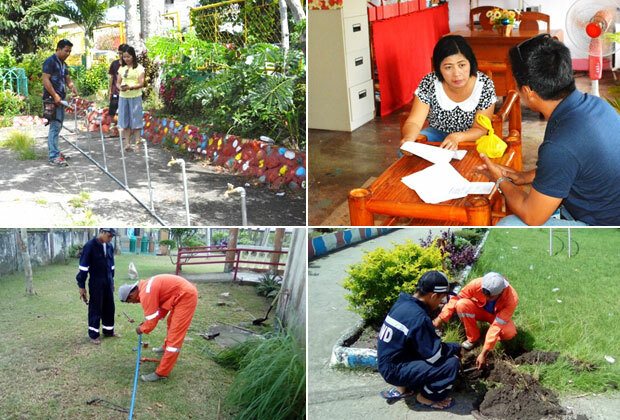 The MNWD personnel headed by Wilson Alayan (above pictures) who conducted the inspection and initial repair of water pipelines prior to the official schedule of 2018 Brigada Eskwela. THE MNWD MASCOT “ISAY”. 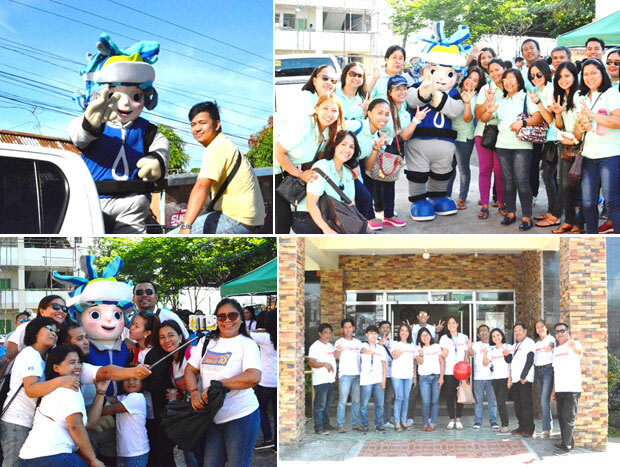 The participants during the Brigada Eskwela kick-off event posed with “Isay” – the MNWD official mascot. BBOOM BBOOM DANCE. The participants enjoying the BBoom BBoom dance craze led by Isay during the opening ceremony at NCSHS. HYDRATION STATION. 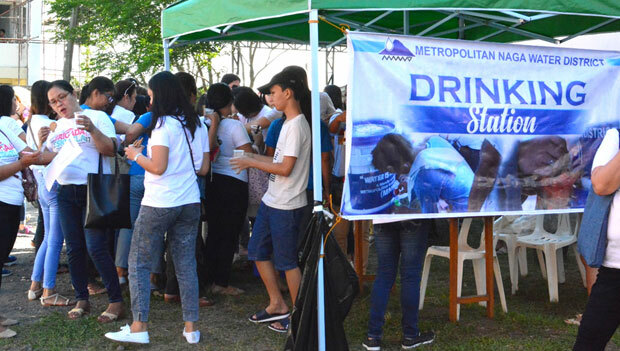 The MNWD drinking station set-up inside NCSHS during the 2018 Brigada Eskwela opening ceremony.